Flynn came to live with us along with his brother Eric when they were 5 1/2 weeks old in May 2000. They always did everything together, and when Eric had to leave us in March 2013 Flynn was as heartbroken as we were. 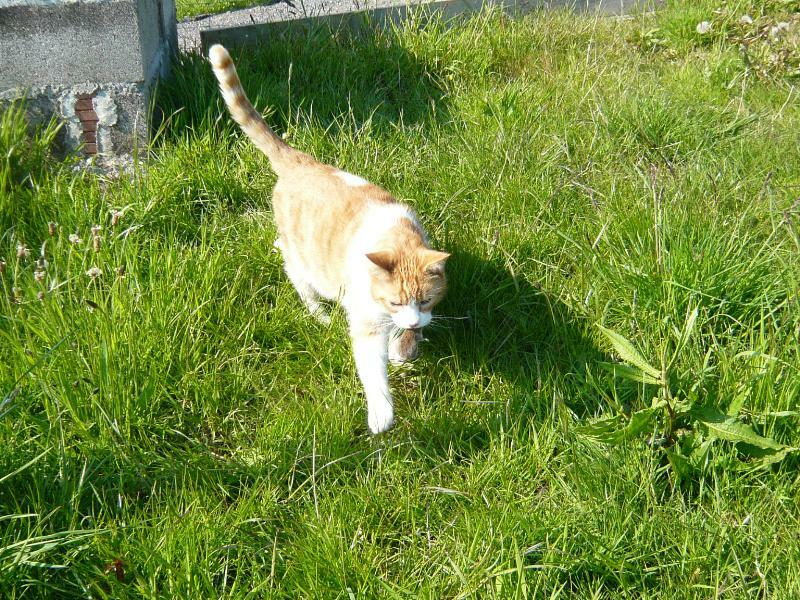 He learned to cope without him but would often lie under the azaleas close to his brother's grave. 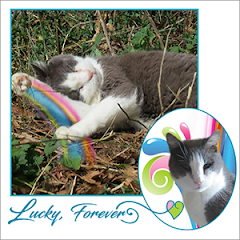 About a year after Eric left, Flynn was diagnosed with hyperthyroidism. 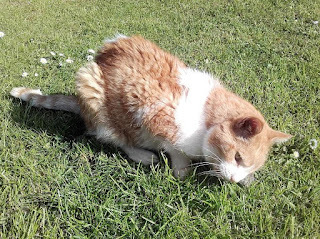 He went on medication and then became seriously ill. We took him to the emergency on call vet who luckily was one of the senior vets at the practice. 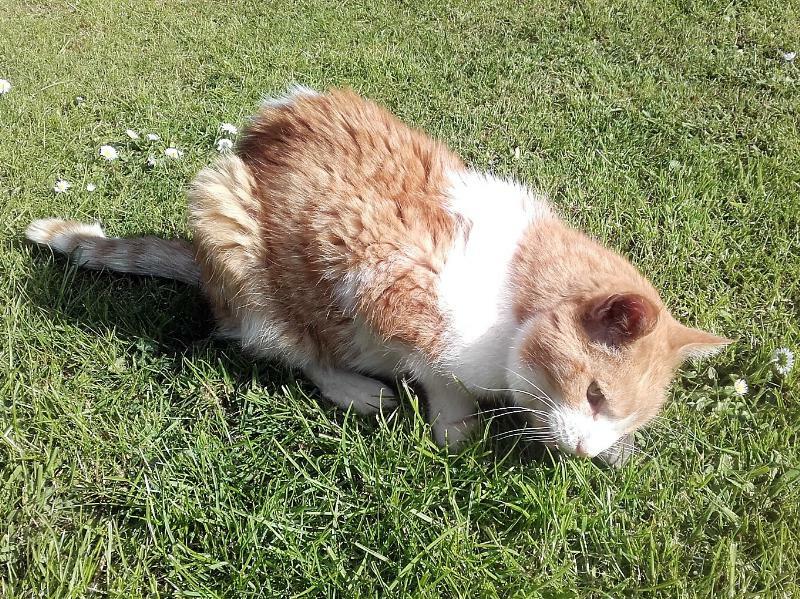 He thought that he was having an adverse reaction to the medication and was able to bring him back from the brink, which he also managed to do another 3 times. 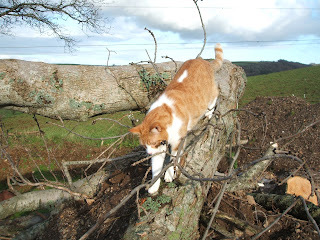 Flynn had tremendous willpower and did everything possible to stay with us for as long as he could. He had a good life and loved nothing better than mousie hunting. There weren't many that would escape him. He would also catch moles. He would sit silently not moving a muscle for maybe as long as an hour, just waiting for Mr Mole to show his nose. He was always a good brother though, and once he had finished playing with his prey he would give it to Eric to eat. 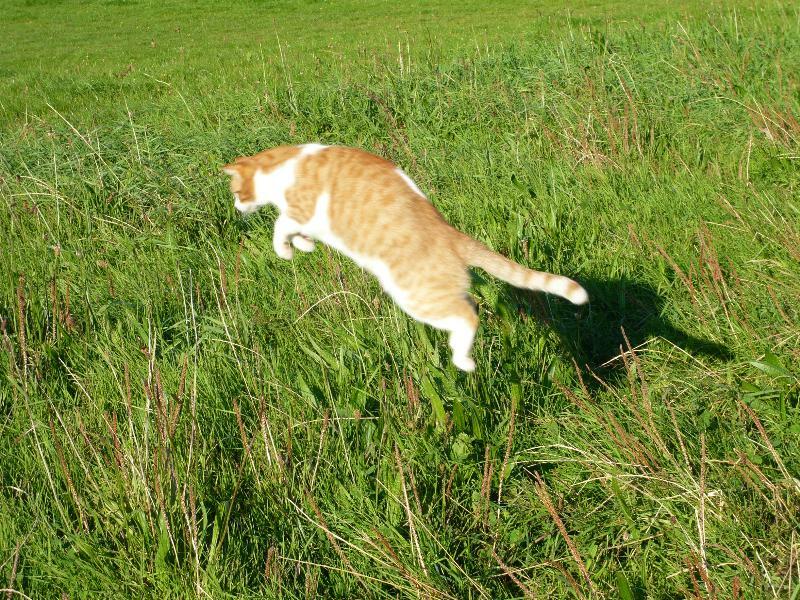 He showed him the best way to catch mice, but one of the things Eric taught Flynn was to carry on the old tradition, if in doubt, pee on it. 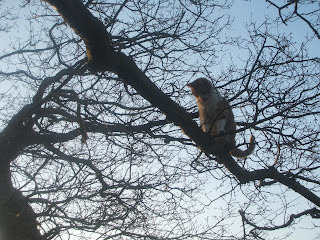 Amongst the other things he loved to do was to climb trees. No tree was ever too big for him. 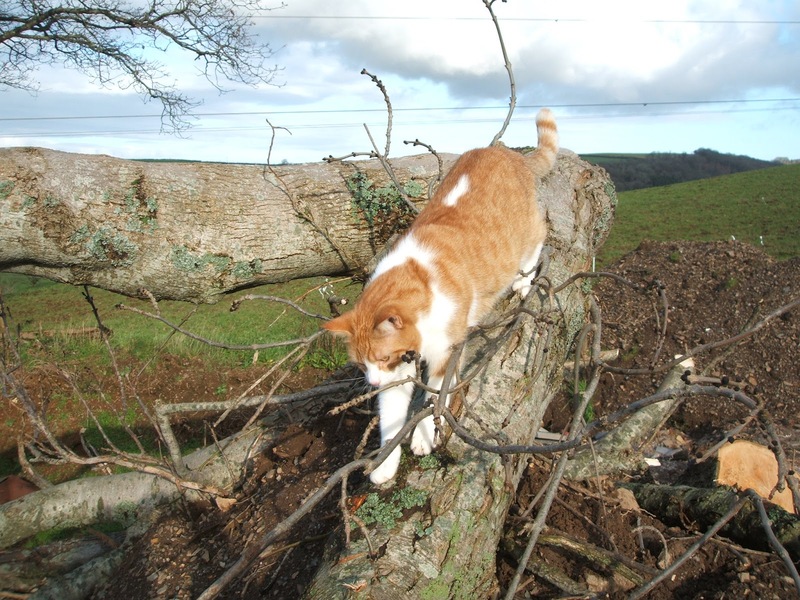 His favourite was the old oak tree. He even took one of his selfies from between the branches. If a tree wasn't available, he would make do with a ladder. Although Flynn was always the active brother and had to run everywhere, he still knew how to take it easy. 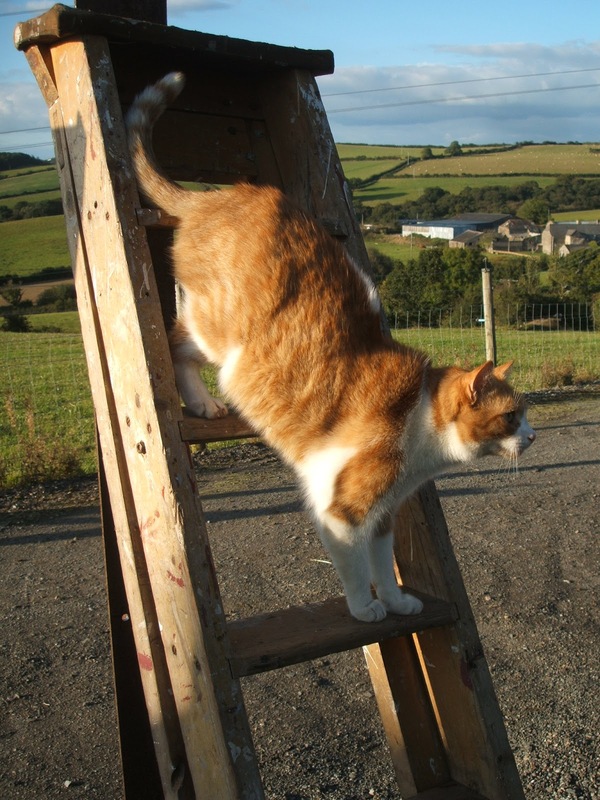 Unlike Eric who disliked the camera, Flynn was always ready to pose. Of course no tribute would be complete without the famous plant pots. Two days before Flynn had to leave he caught his last mouse. He was so pleased with himself because it was the first one for a few months. I was going to post about it but never got the chance to do so. Even though he was so weary and ready to go, he still managed one last time to do the thing he had enjoyed so much for all of his life. 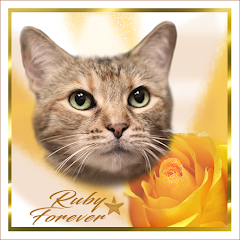 We had so many beautiful memorial tributes which I am showing here. 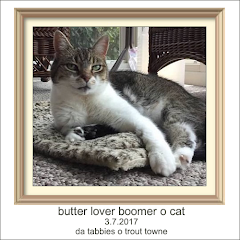 These words are from Laura and the Trout Towne Tabbies which she originally wrote for Boomer when he left. ~~~and St. Francis said, "Come little one, there is nothing more I can do for you here. 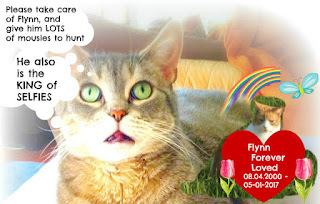 don't be afraid", and St. Francis gently picked Flynn up and carried him into the Kingdom of Heaven. ~~~and Flynn saw there was no pain, suffering, fear, sickness, hunger, thirst or sorrow until he looked down and saw the family and friends he had left behind, and for a very brief moment the little cat too was filled with sorrow. Then St. Francis bestowed Flynn with a set of wings and said, "Use them to return to your family when their need is greatest, as nothing can separate your bond of love. 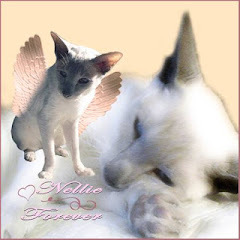 Hold each other in your hearts and your memories until you are reunited again at Heaven's door." 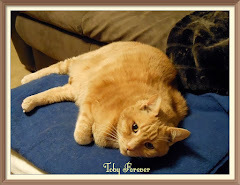 This was from Tuna who became best friends with Flynn after Eric and Sauce left within 2 days of each other. Pipo, Minko and Jack Freckles. 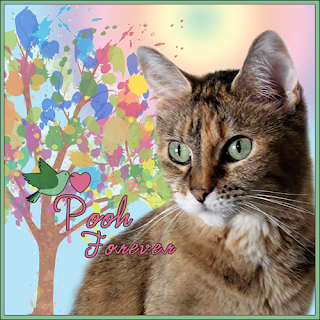 Thank you to all of our friends for all of the lovely tributes, cards and messages of sympathy. We are thankful for each and every one of them. Thank you for following the life of our boys. 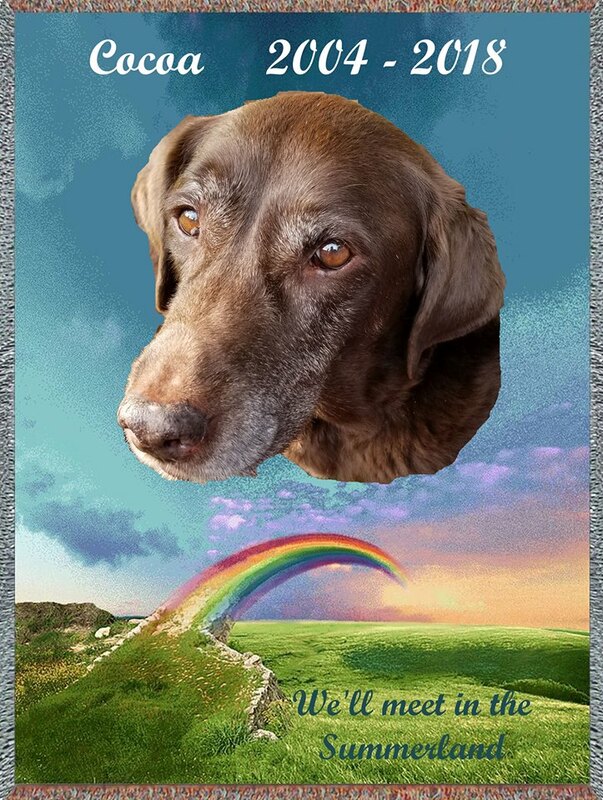 We love and miss you so much darling boy, but know you are healthy again and frolicking in the fields with Eric and so many of your friends. We will never forget you or stop missing you. Our love for you both is endless. 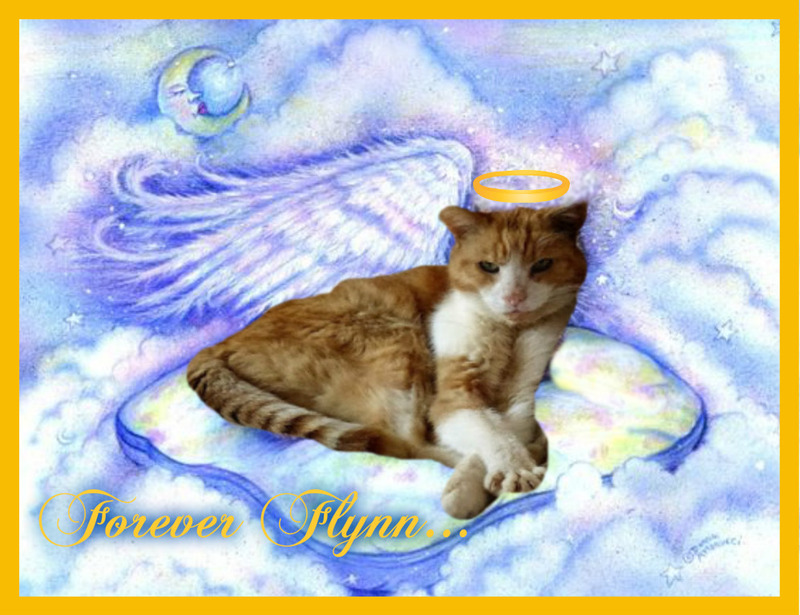 Thank you for your beautiful tribute to Flynn. 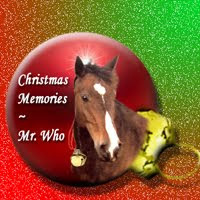 And for sharing both of them through your blog for many years. Since we are only inside cats, it was such a treat to be able experience outside life through their adventures. 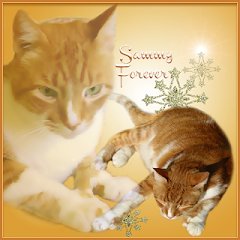 And, as sad as we are that he's gone, we take great comfort knowing that he and his beloved brother are together in eternity. Pawhugs to you both, the Whiskeratti. 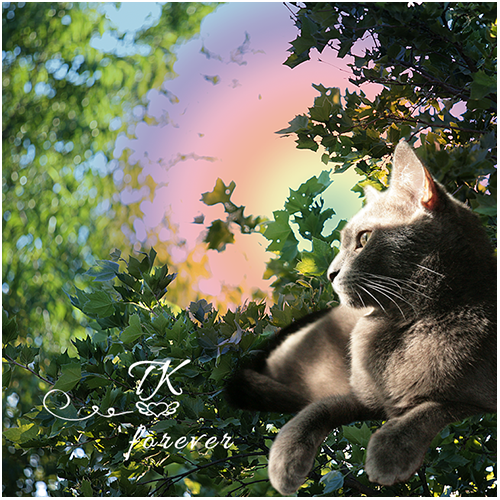 Flynn had such a perfect kitty life with all of his adventures and your constant love. He and Eric were very blessed to be together for so long and to have such good parents. This tribute is so wonderful and I thank you for sharing it with us, as well as all the posts during his time with you. It has been a favorite blog for me. 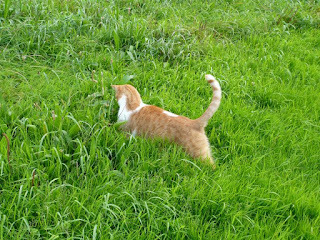 And he got to catch just one more mouse! That made me smile as I know he must truly have been so pleased. Blessing to both of you. Your Flynn and Eric won't be forgotten and neither will you. 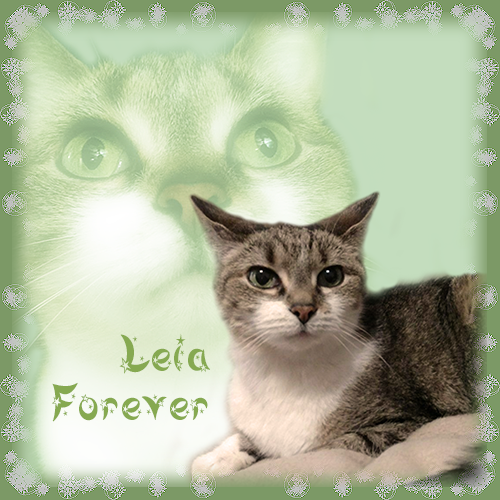 You are all forever in my heart. 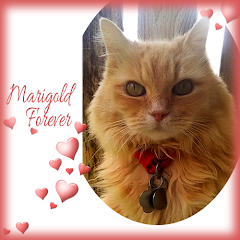 Such a loving tribute to a wonderful ginger mancat. He will be missed by many and will live on in our hearts. What a lovely tribute. 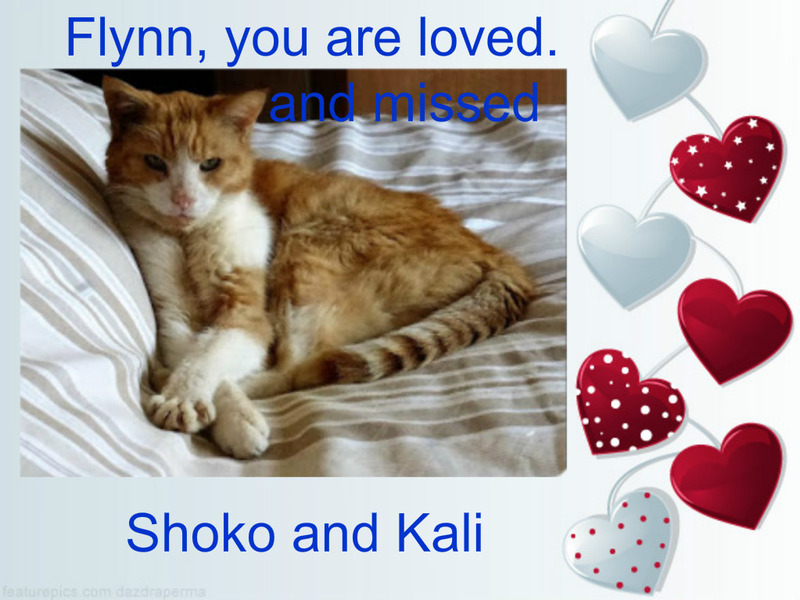 Every one of their blog posts showed us how happy and loved your sweet boys were. They brought joy to their friends throughout the world by showing us their adorable personalities and the wonderful lives they lived. Thank you for sharing your sweet boys with us. That was such a beautiful tribute and so full of love. All of us in Blogville miss both Eric and Flynn and the joy and adventures you shared with all of us. The dynamic duo will live in our hearts forever. Love and hugs from your friends at Brian's Home. 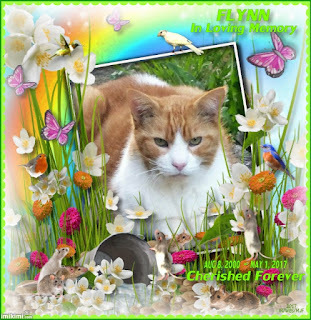 What a lovely tribute to Flynn! 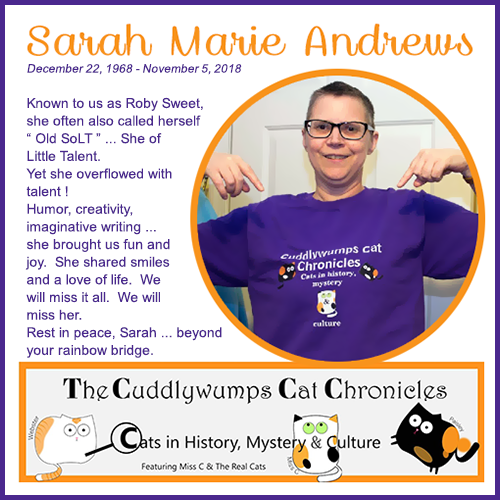 He and Eric were two of our earliest blogging friends, and they have left a hole in the blogosphere where they touched so many of our hearts. 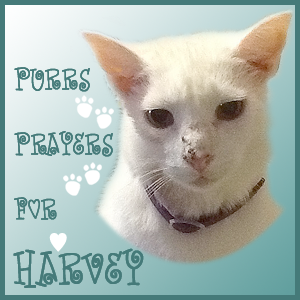 We send you gentle purrs of comfort and lots of love from across the ocean. What a beautiful tribute to a wonderful boy and a life well-lived. Flynn had the kind of life many cats only ever dream of. 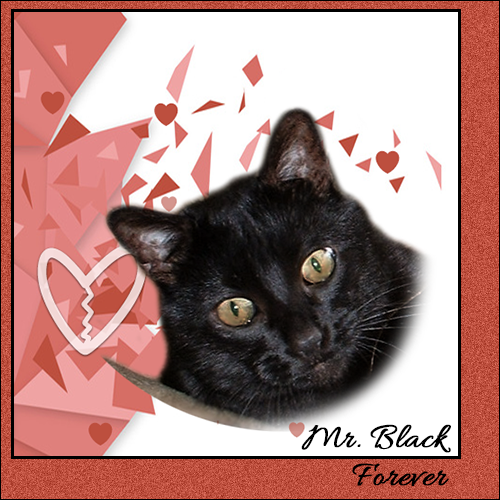 We can imagine the emptiness he and Eric have left behind. Oh gosh Jackie, that was such a lovely tribute to Flynn and Eric too. Sure made the tears flow here. We so miss all of you on the blog. It just won't be the same without you and Flynn and Eric. I sure hope you are feeling better Jackie. Take care. Now the tears are flowing. What a beautiful tribute to Flynn. 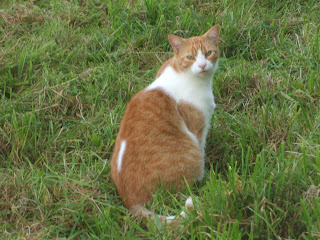 We always enjoyed seeing him and Eric in the fields catching mousies. We will miss him very much. Such bonded brothers. 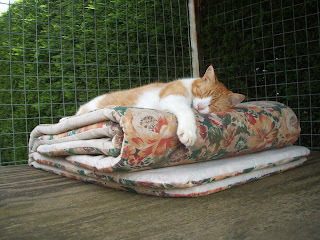 To think he could catch one last mouse and even eat it; now that is called "life's work". 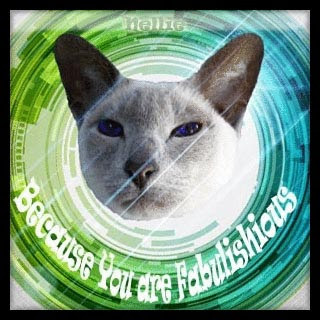 Your two Devon cats are beloved by the world. Me & Mom are leaking again. 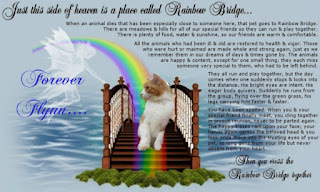 Such a hard to think they are gone to rainbow bridge. They are wonderful brothers, wonderful friends and wonderful kids. We glad we have a chance to be their friend. And have so much wonderful memories about them. They has been loved, They have so much freedom ( I always envy their adventures ). As long as I know them. They are happy with you both. 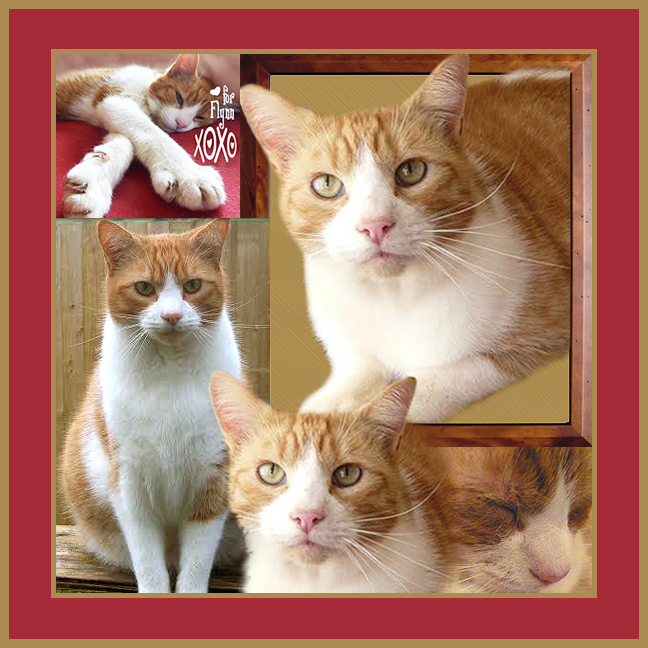 A lovely tribute to your handsome Flynn. He and Eric are so missed! I always loved your blog posts about the boys enjoying themselves outside. I know you miss Flynn (and Eric). It's so hard on us when they have to leave us. A warm hug. What a beautiful tribute to a beautiful soul. I'll miss Flynn so much but nothing will compare to how you'll miss him. He's always there. I'm so glad I could do an Honor Flag for Flynn. What a beautiful tribute to such a lovely boy. 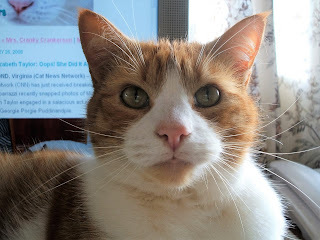 He was always a part of the cat blogosphere, and will be missed by all of us. Beautiful words about Eric as well. 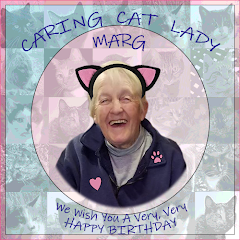 Hugs from all of us at Forty Paws. what a wonderful tribute. those two boys will be in our hearts forever. until we meet again at the bridge. OK, so I'm in floods all over again...I will miss your two boys and their adventures so much. 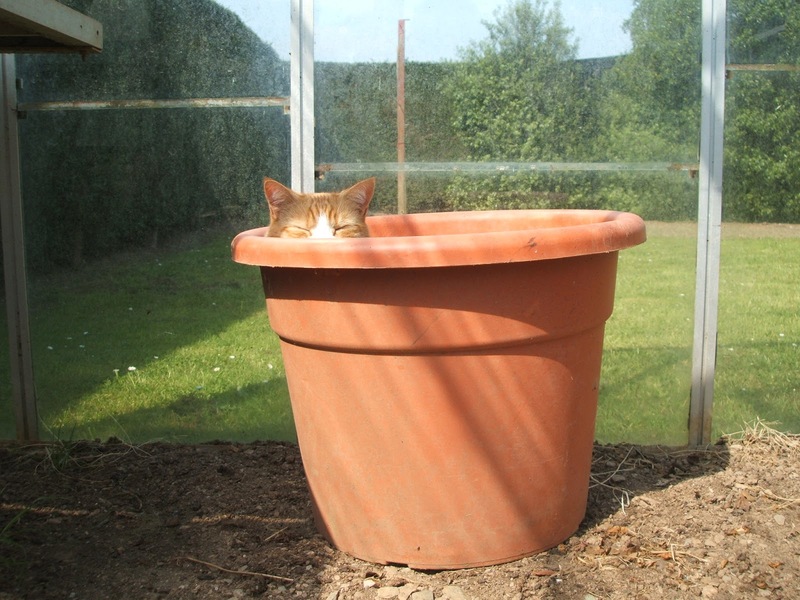 When I was working grave shift I spent many evenings reading past adventures, and when I blogged I was thrilled that Flynn admired our Miss Pea for a GirlCatFriend...not as much as she, of course, but still! Thank you for sharing their wonderful, marvelous lives. 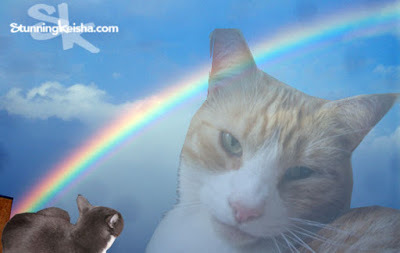 Eric and Flynn were (really still are) icons of the Cat Blogosphere, and will be missed, and remembered, forever. What an amazing tribute to Flynn. 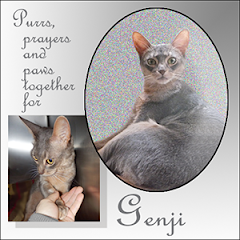 He was such a special cat and had such a strong will! 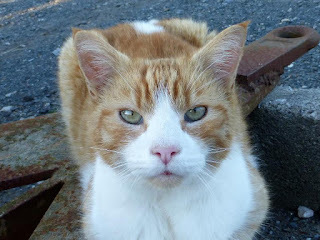 I'm not surprised he caught a mouse shortly before he died... it reminded my human of Sparkle, who caught a lizard not long before she passed away. 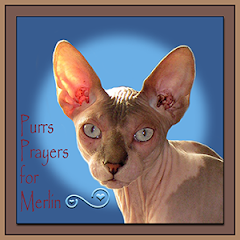 I hadn't heard of Flynn's passing, my thoughts and prayers are with you. that is so funny...! :). 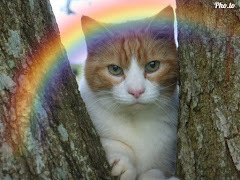 He wuz one pawsome cat. Awww the kitten photos answer so many shots of handsome Flynn. Thank you for sharing your beautiful boys with us. Their stories and adventures were a highlight of our day. 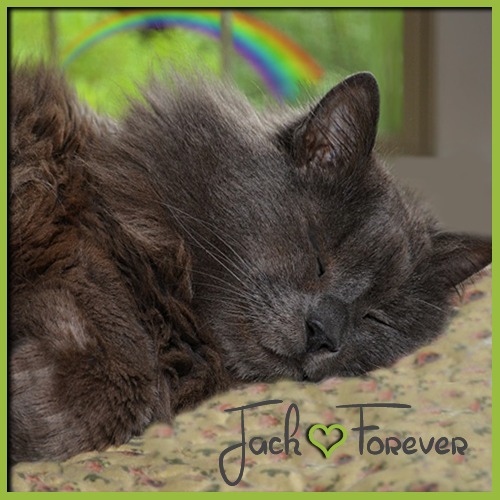 Dear Jackie and Ivor....what wonderful photos you've used in your tribute to sweet Flynn. I just love thinking of Eric and Flynn reunited and hunting together, sleeping together and no doubt they've found a couple of big pots to sleep in together! I know that you will forever feel the boys in your hearts but it's still very tough not SEEING them. 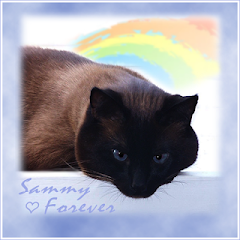 I hope Sammy is playing with them somewhere over the rainbow - friends forever. 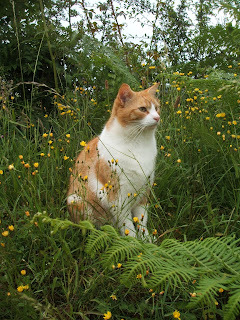 We always feel so sad when we think about Flynn sitting in the garden or trying to catch mousies. 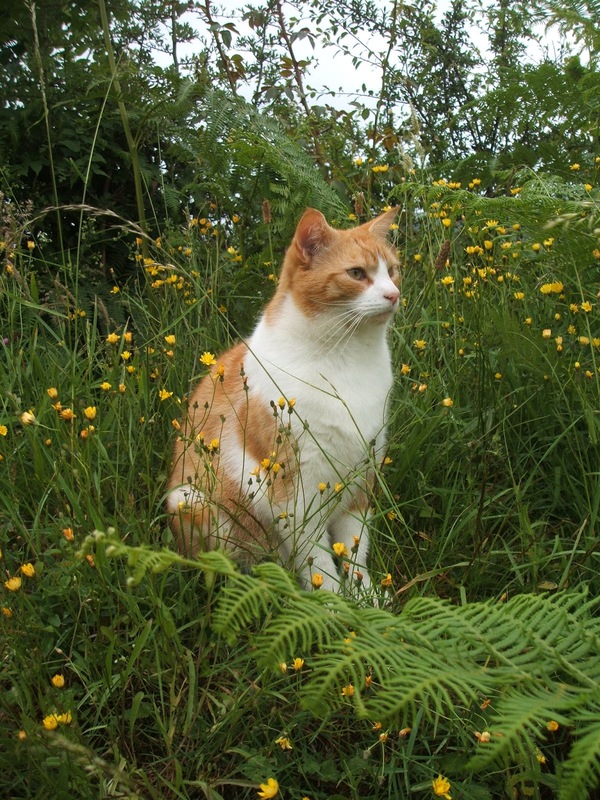 We used to smile when we saw him thinking about what to do next and hoping for a mouse to chase. There are just too many memories for us to remember and together with Eric and we're hoping they are laughing together again. 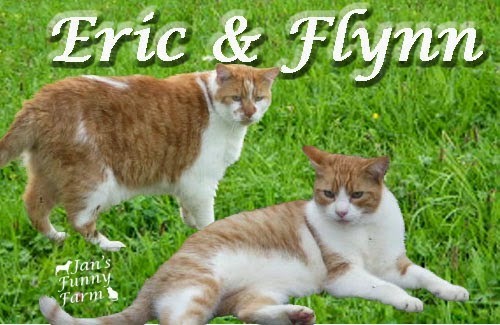 We hope one day you will get another Eric and Flynn who will keep you both on your toes!! Take care - we miss our favourite boys. 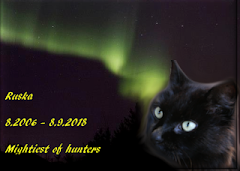 He was a pretty cat, and a good hunter too. 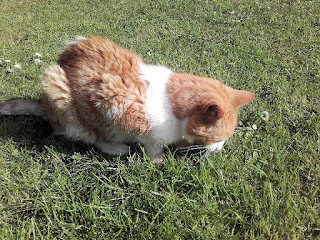 I don't know if it's harder losing an old cat or a young cat, but I've done both. 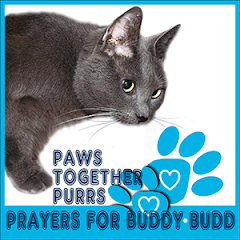 Sandy lived 20 years; Butler only about 14½ months. I dreamt that I saw them together about the time Butler went off to the Bridge. Thank you for such a wonderful tribute. 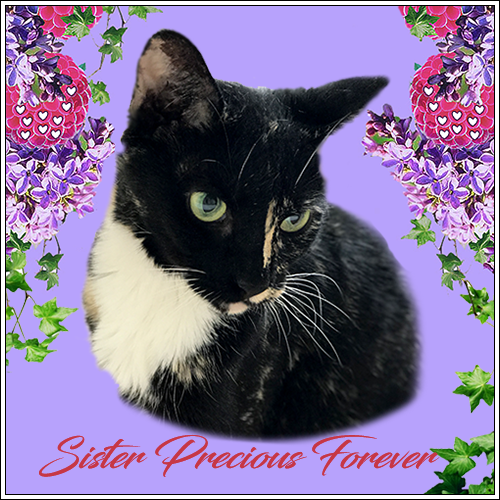 Äiti was smiling way until the final mousie and now she cannot stop crying, but with tears of love and sadness and joy for such a wonderful life with brother Eric, and with you both of course. 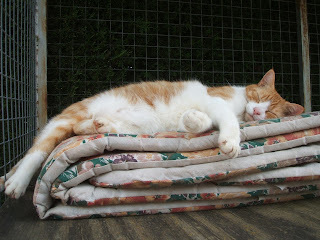 Thank you so very much for sharing Flynn's life on this blog. With much love, always. 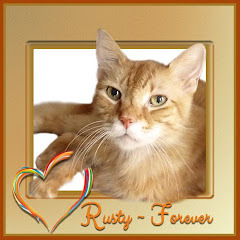 What a wonderful life, well lived and full of joy. Thank you for sharing your boys with the world. Smiling through tears. An amazing tribute, so many great memories. 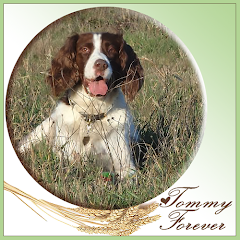 He had a wonderful life with the wide open spaces to roam, the critters to catch, life with his brother. I'm glad he caught that last mouse. A few days before Shaggy left he spent the entire afternoon resting on the porch in the sun, something he hasn't done in nearly a year. We both knew it was to be the last time. Bittersweet. Thank you for sharing your boys with us. I smile at the memories through the years of my own grief for Shaggy. I am in tears again. I loved your boys very much. 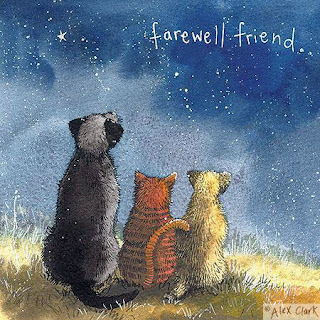 That may seem strange to hear from someone so far away and who never had the pleasure of meeting them or you as his pawrents. But love them, I did and do and I truly miss them. 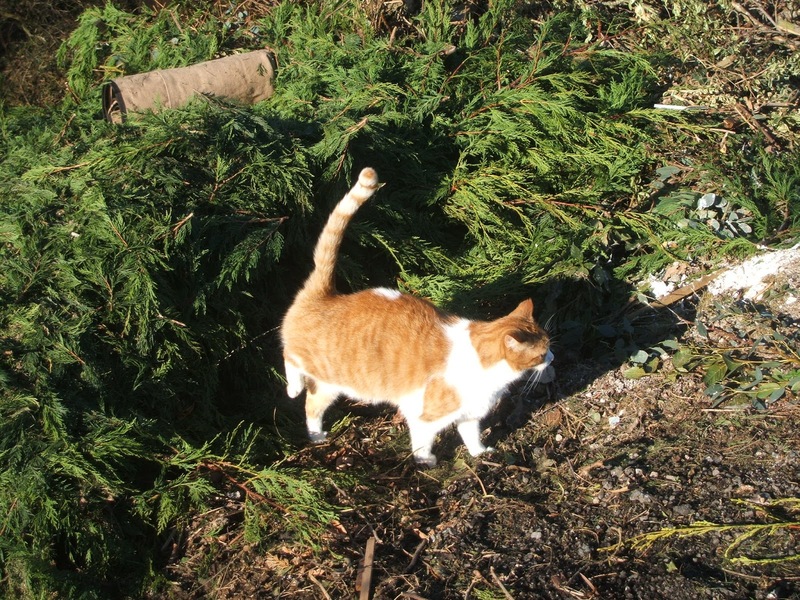 My Robin who passed at 16 came home from the University Veterinary hospital and caught a rabbit. Ashe chased it around the house several times and proudly presented it to us, holding her prize after leaping high up onto our deck as she always did. We praised and praised her. It was her last patrol and triumph. I understand Flynn doing the same. Much love and thank you for this lovely memory about your dearest boys. What a beautiful loving tribute to a very memorable boy. How special you had both of them from the very start, all the love they had bestowed upon them and all the love they shared with you and one another. It goes by in a blur, doesn't it Jackie? How could 17 years go by so fast? Like you I share one bittersweet memory of Abby's last night, she always loved drinking out of the facet, but hadn't done it in so many years, then that last night she wanted some water, she was so weak, so I lifted her up to the sink, and she drank out of my cupped hands as she had so many many times over the years. I treasure that, like you treasure Flynn's last mousie hunt. He is and will always be a very special ginger and I for one and many others will miss him greatly. I am comforted that he is now again reunited with Eric who I know was so glad to see his brother once again. It is just so hard to let them go. So hard. Thank you for sharing all of these lovely lovely photos and memories. God bless. 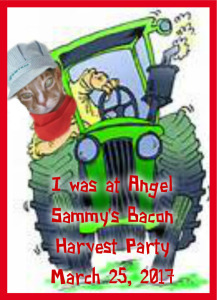 I think our original comments from our phone probably went to spam, and that is good as I think in one it translated our condolences to a stripper in Catmandu? 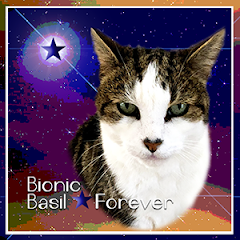 We think that this is a touching tribute to a cat that we were all lucky to have with us--and he was very lucky to have had you and Eric as his family. 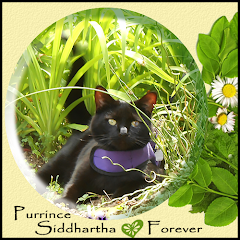 We like to think of him across the Bridge catching mousies while Eric supervises. 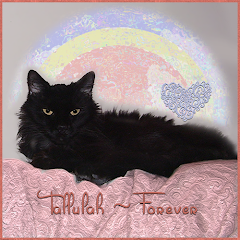 Your success sharing him is shown by all the lovely tributes and cards that you got--surrounded by love, always. 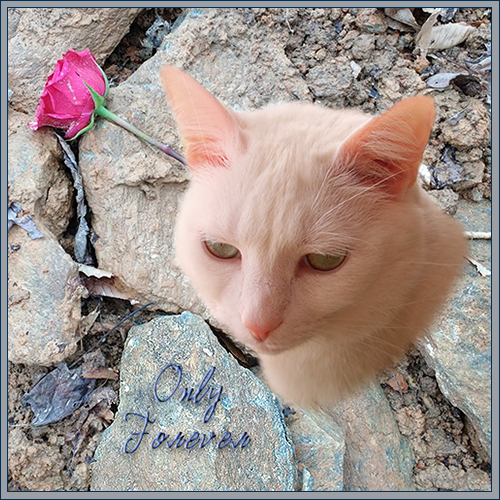 Such a lovely and beautiful tribute to your beloved Flynn. We will always, ALWAYS love him and Eric, and they will forever live on in our hearts and minds. To Mum Jackie and Dad Ivor ... big hugs, purrs and prayers to you you both. We enjoyed the tribute to Flynn. He was such a vital cat and into having fun. We laughed at his antics and got misty-eyed because he's not here anymore. Jackie, Ivor, I have no words. My heart is sore from the loss, but I know Eric and Flynn are together and watching over you. 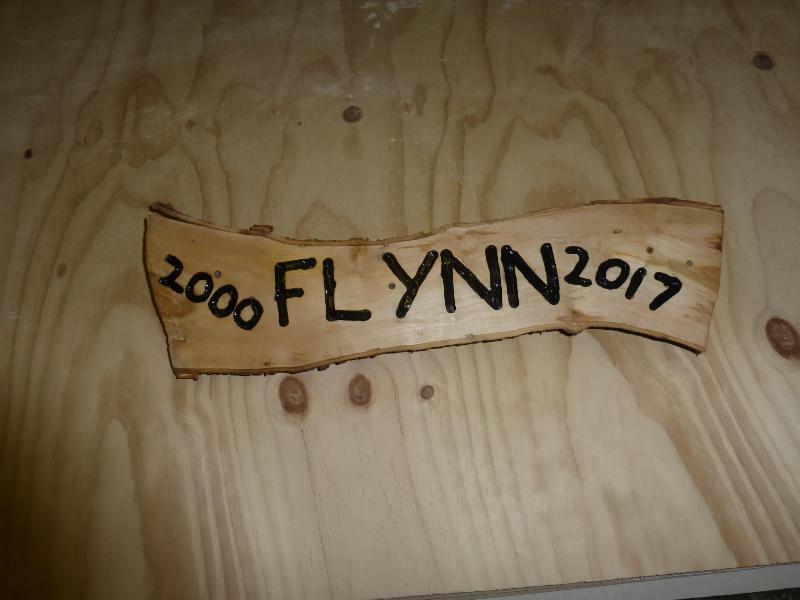 What a beautiful tribute to Flynn. 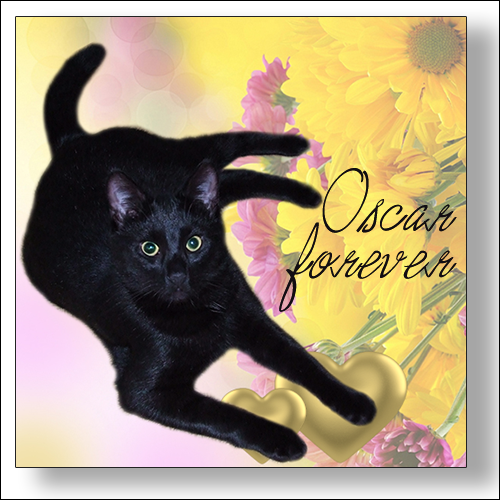 He and Eric were such handsome boys and were so fortunate to have such a loving home. 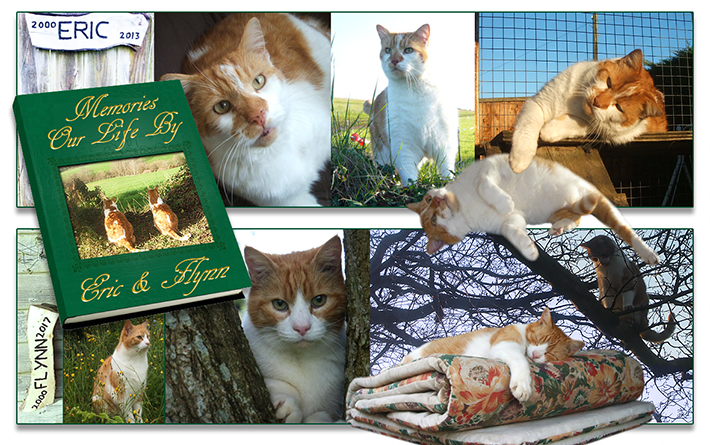 Such a lovely remembrance of Flynn's life. Both he and Eric were pawsome cats and we enjoyed sharing their adventures. 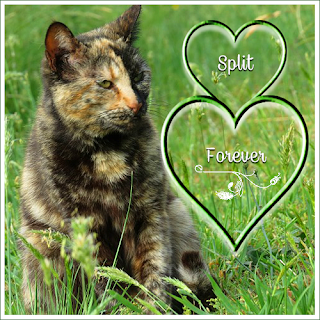 While we are glad they are together, we also share your sadness that they are no longer here on this plane of existence. We will cherish the memories as we are sure you two will also. This is such a beautiful tribute. Flynn had a wonderful life with you and we're sure he and his brother knew how much they were loved. You will always have the memories and they will always be near watching over you. 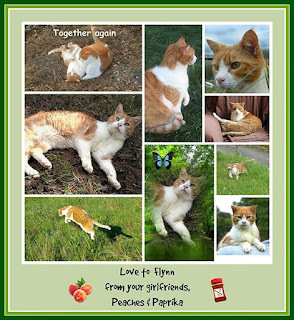 A beautiful tribute to Flynn, and to Eric too, who was gone before I discovered your blog. 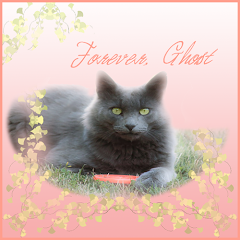 The memories - and their spirits - are forever. 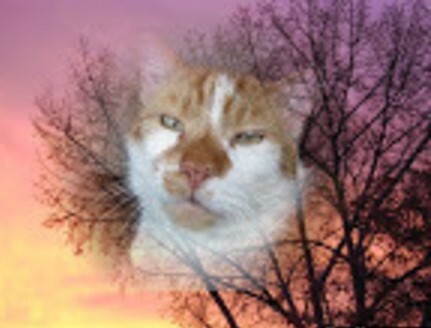 That was a wonderful tribute to Flynn. We know how difficult it must have been to write and we can feel the love you put into it. 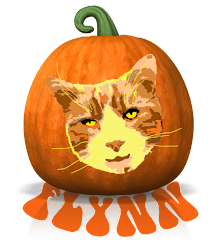 This tribute for Flynn is so lovely. The poetry... It has me in tears. 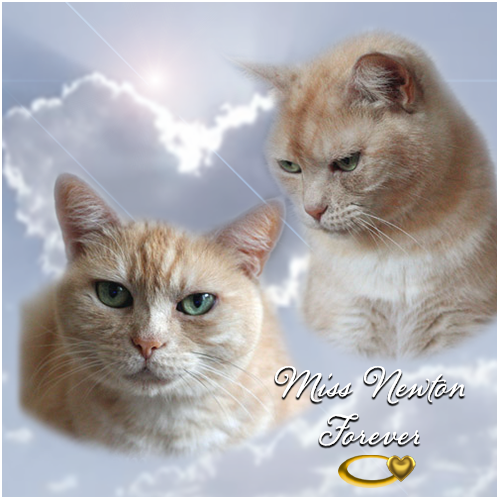 Tears of sadness because I miss Flynn so, but also tears of joy for I KNOW he is up in Heaven along with Eric and Nissy, happy and healthy, runnin' through heavenly nip fields with the warm sun on their backs, chasin' butterflies and mousies. PURRS. Thank you for such a beautiful tribute. We are passing the tissues around here. 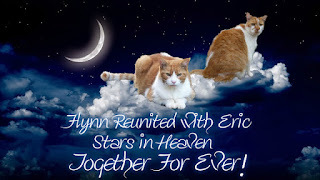 Eric and Flynn had such a wonderful life and were very blessed kitties. 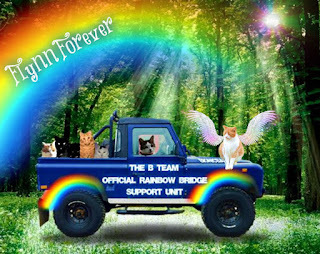 We're sure they are enjoying their reunion at the Rainbow Bridge, enjoying being whole again and chasing mousies. Many hugs and purrs to you. What a lovely tribute to your boy. 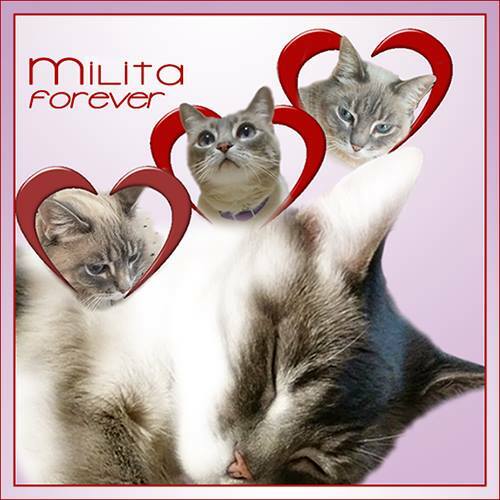 Love and purrs to you. We read it all! After all Flynn is our orange boyfriend and always will be. Also reading about the two brothers adventures was priceless. We loved reading about all your adventures, Flynn, especially since we are indoor cats and can only dream of climbing trees and catching mouses. We were presented once with a live mouse and didn't know what to do! (Very embarrassing.) Thank you for these dear dear photos. 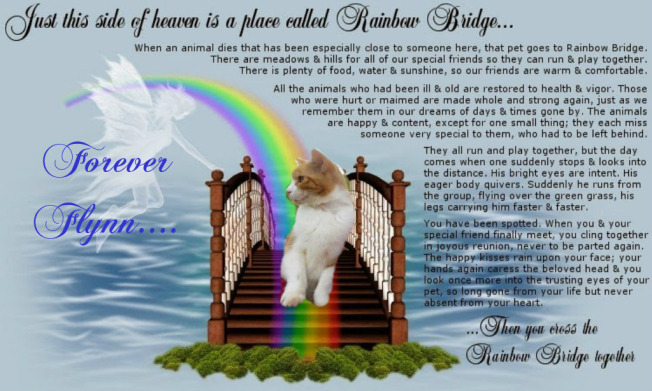 You'll always be part of our lives, Earthbound or Angel! 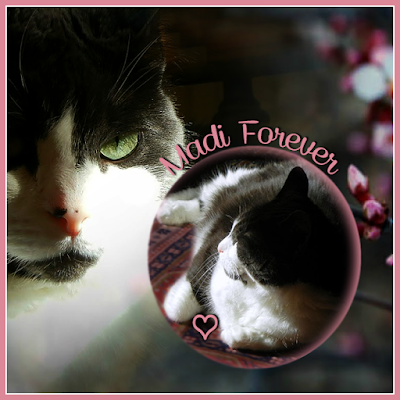 Such a beautiful tribute to our dear friend. We so enjoyed he and Eric over the years with their great adventures. A pair we will never forget. Hugs and love to you and Ivor. 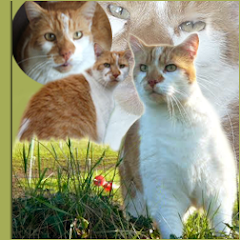 I had not known Flynn's story, or that of his lovely brother Eric until now. What I did know and love was what a pal Flynn was, and how greatly loved he was by all around. I also much admire his mousing abilities. 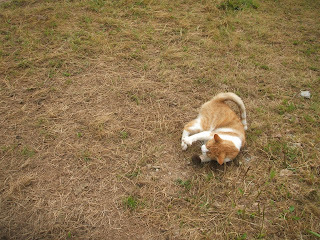 I am so pleased that last mousie did not elude him. 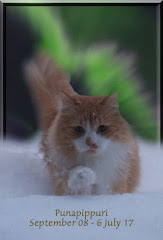 What finer gift for a seasoned hunter than to taste freedom, the thrill of the chase and a hearty meal. Thank you so for sharing Flynn with us all, and I pray I will meet him when my time comes. Such a loving tribute to our darling boy. We can hardly believe he's left us . 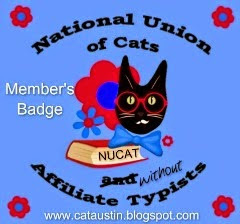 We half expect to visit his blog and find him there.We could never imagine a time there would be no Eric or Flynn. It feels so good to know even in his last days his interest in mousies and his ability to capture them didn't fail him. There are literally thousands of time I wondered what his fur would feel like to the touch or if he'd allow me ever to touch his dear little feet. The world is a sadder place for his loss. 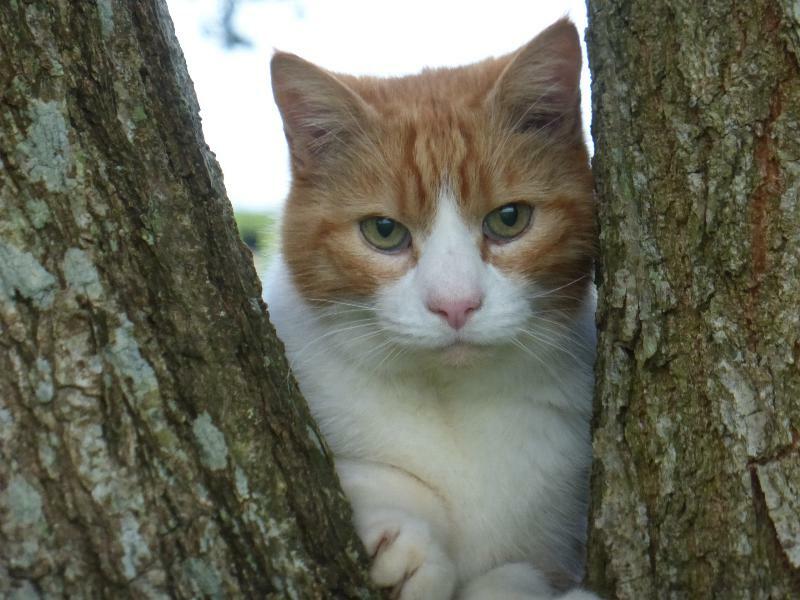 I love the selfie of him in the old tree. Those beautiful eyes were simply captivating weren't they. I loved him like he was my own. I'll mourn him the same way. Thank you so much for sharing your boys with the world. All of our love always. What a wonderful tribute. I loved the photographs, showing Flynn in all his aspects. I marvelled at how the brothers did everything together, and then later, at how many times Flynn fought back to stay with his mum and dad. 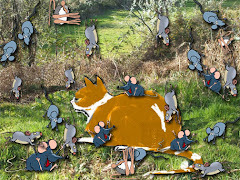 It must have pleased him greatly to catch that one last mouse. Perhaps he knew he would need to bring it to Eric soon. 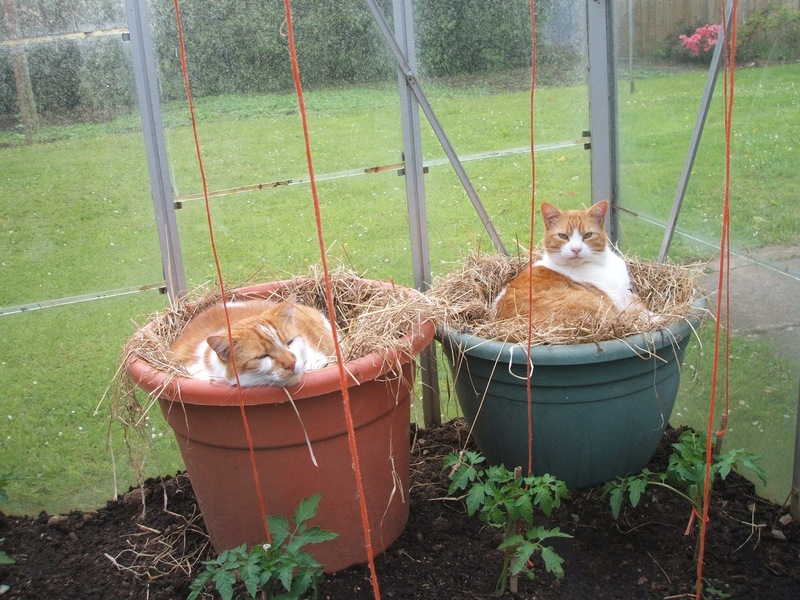 What cats those two were, and will always be. God bless you. 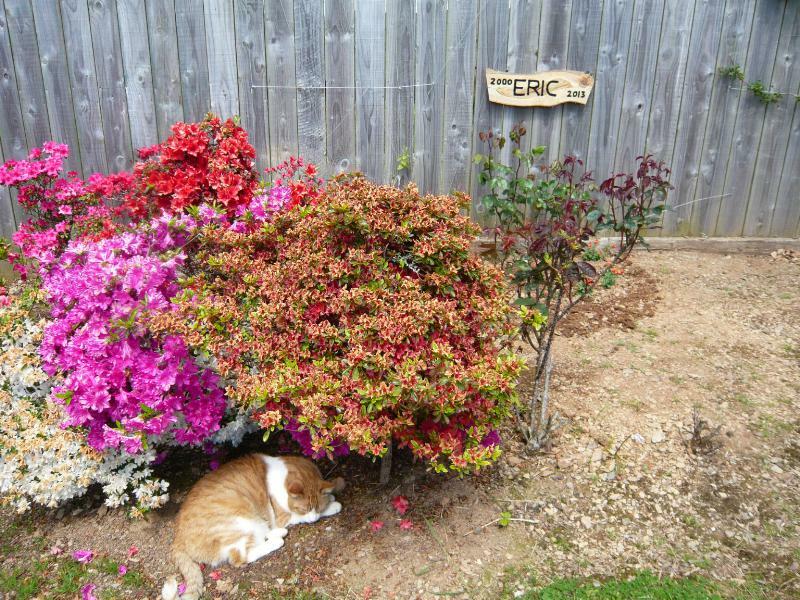 Neither Flynn nor Eric could have lived a better, happier, more loving life than the one they lived with you. 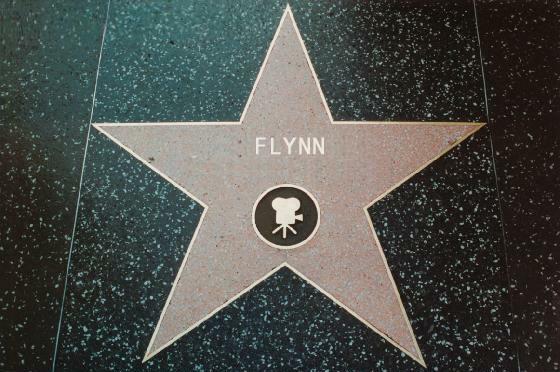 Your Flynn and Eric are shining down on you, there is doubt about that. 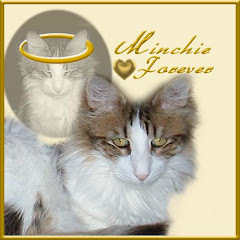 They are together again, chasing heavenly mice to their little hearts' content. Until you all meet again. 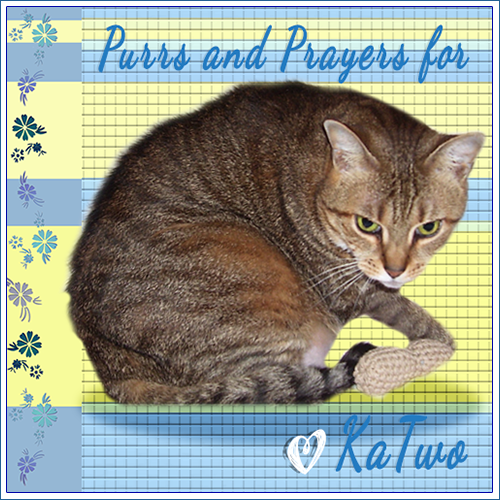 Purrs and prayers to you. 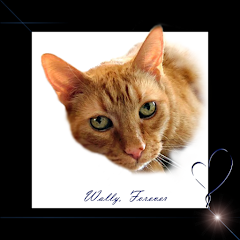 A beautiful tribute to a wonderful and sweet orange boy. Eric and Flynn won the lottery when they ended up at your house. The lived a life full of warmth and love. I know they are together again running through the fields and catching mice! These brothers may be gone from this world, but will never be forgotten. Hugs and Purrs to you today. What a truly heartwarming tribute to Flynn ; it made our hearts swell. His life was so full and happy and it is obvious how loved he was! 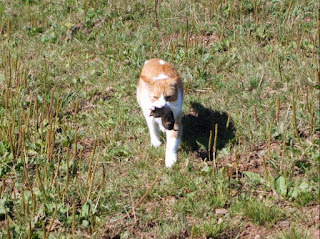 How incredible and wonderful and fitting that he caught his last mouse mere days before it was time for him to say his final good-bye. We know he is happy and healthy now with his brother Eric beside him. We know they are both watching over the both of you and that they are surrounding you with their endless love for you. That was just beautiful. Thank you both for sharing Flynn with us one more time. What a fabulous tribute to Flynn. So glad he got a farewell smousie. Thank you so much for sharing he and Eric with us. We love Flynn, Eric and you both. 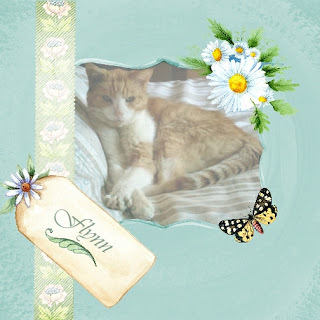 A beautiful post for your beautiful boy! 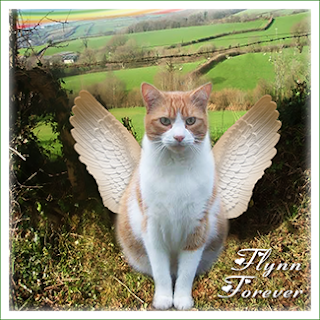 This is a beautiful tribute to Flynn. I am glad you have so many good memories of him and Eric. I wish I had known Eric. 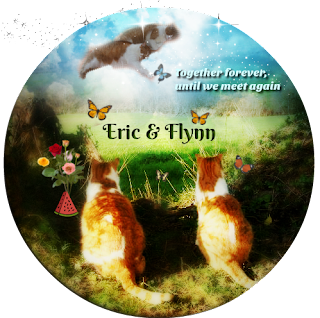 I hope it comforts you to picture Flynn and Eric together again, romping and playing. Blessings and love to you. I wish I could lift the pain from your heart. 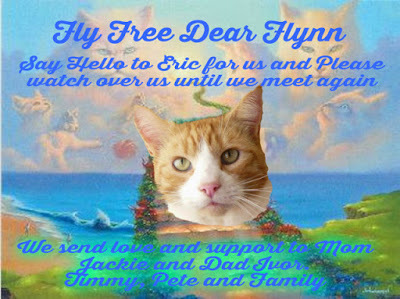 We will miss dear Flynn and Eric too, they will always stay in our hearts. A beautiful, loving and touching tribute. So poignant.